It takes a lot of time to get from planning, to sampling, to launching, to marketing. There are so many aspects to take care of in the product launch process, and it takes doing it in the right order to ensure success. Our goal here at Product Launch Hazzards is to make sure that everything you spend money and effort on as you make and market your product ends up as an asset, an not a liability. We will give you pointers on how you can make a feasible and sustainable research and design budget plan including how to incorporate intellectual property costs into it, especially when you are a startup developing a new product. I’m excited to talk to you about something that you should really plan for and that is budgeting for your research and design. Sometimes I like to call it IP costs, but remember that our goal and my goal for you is to make sure that everything you do ends up an asset and not a liability. We want our intellectual property, we want our patents, we want our trademarks, we want our copyrights, we want our content, we want our products, we want all of that to become an asset. We need to have an investment plan for that. We need to budget for that so that we can invest and grow those things into the assets that they need to be. We can’t shortchange them. That is something that we do too often or we scrounge and we overspend. That is why I want to talk with you about the idea of having an IP budget or a research and design budget. Going forward, as you’re building a bigger brand, I want you to compare yourselves to those bigger brands in your category. If you’re competing in a marketplace with Apple for instance and you’re designing phones and all of those things, then you’re going to have to spend a pretty steep amount on research and design. Apple spends somewhere between 20% and 25% of its overall revenue budget on research and design. That’s all their staff, all their overhead for all of that, all of the models that they make and the planning that they do into that and the different projects that never go anywhere. It is a significant expense for them to do that in research and design. I personally have a lot of experience in the contract furniture market. Remember that I worked for Herman Miller. In my early days in Herman Miller, they have an entire research division whose sole goal is to build assets for the business. Sometimes it’s a content-based asset. I want you to think about it that way. For them, it’s research and white papers that help to boost the sales of their existing products. The power of ergonomics, how comfortable is an office chair? Can we measure it? These are things that they studied and they put money and effort and research projects into. That content was going to help it sell existing products and also lead to a-ha moments in which they might come up with new ideas and new projects to initiate, opportunity gaps that they’re going to find in the process. That’s one of the ways why I want you to think about them in two places. One in which their content and one in which its actual physical products that you’re doing research and design or things that become hopefully patented or proprietary. All of those things. Remember Jason Webb in his Office Hours, he was talking about that proprietary technologies have an extreme value because they don’t expire in seventeen to twenty years. Thinking about all of those things that the more research and design you put into it, the more value your company has. I cannot stress this enough, companies that spend on research and design, especially forward-thinking research and design in their product categories, out revenue, out profit every other brand in our category. Every other brand in their category has less value both in the marketplace and in sales. It’s not just an overall valuation of their company as well as the sales that they make every single month. You should never spend more than 2% of your money on intellectual property costs. Be thinking about that because this is one of the drivers. This is why you’re here because we’re talking about creating original products. There are a lot of sampling and time involved and a lot of you get frustrated by the amount of time it takes. I totally get that, but it is the reality to doing great design, making sure that you have something original, making sure you’ve put the good research into it, making sure it has all of these valuable features that takes iterations. It takes processing. It takes going through multiple models sometimes to get to that. You can’t just go, it’s good enough, let’s launch it. It may not take off because of that and because of that you have a lower hit ratio. We really want to make sure that we’re having a decent spend. I’m not suggesting you spend 25% of your budget. Some of you barely even make 20% to 25% in margins on your products. I’m not suggesting that at all. I’m suggesting that an early rule for you guys is my 2% rule. You should never spend more than 2% of your money on intellectual property costs. That is filing patents and doing those things. I’m going to suggest that you might want to think about doubling that if you’re going to do significant research and design. In other words, if you have to do models, if you have to do all of that, be looking at your overall costs as under 5% of your overall revenue budget that’s being spent on sampling research and design fees. Whether that’s hiring designers, having in-house staff. That overhead goes into that number. Just be thinking about that. Any money you spend on lawyers, legal fees to file patents, file copyrights, file trademarks, file all of those things, all in all, on that budget, I want you to keep it under 5%. Initially when you just have your first product, it should be under 2% because those costs are sunk in. Those are time spent. There might be a little bit of cost, but it’s typically just you and not somebody else who’s invented this product and you’ve gone back and forth to the factory and you’ve refined it and you’ve done those things. You’re thinking about those costs. If you’ve hired someone like me, that cost is included in that and should be into your costs, but it should be 2% of your projected revenue. If you think you can make $10,000 a month on Amazon, then that gives you a pretty low budget to work with. It’s really just one of those things where I really just want you to be thinking of it in context of is it worth it? I don’t think you could hire a designer for Fiverr $200 a month. When you’re talking about that $10,000 on it. Your budget is Fiverr, which means that you have to put a lot more of leg work, a lot more thought process into it and make sure that you’re targeted and right on your research. You get to some place where you might be spending money on me, and we want to hit you into a place at which we’re making $100,000 to $200,000 a month. That’s where we basically go in and say that we’re really not a player with someone who is below $1 million in sales because you’re not really at the scale of which you should be affording us. Just be thinking about that overall in terms of your budgeting plan and that also be putting that into your future forecast. As your sales grow, you also want that budget to grow because you want to make sure that you’re ahead of that cycle. That you’re really doing research in your category, that you are really understanding what’s going on in your marketplace. You’re building in good research projects with somebody like Laura Hazzard, who’s got great consumer understanding. That’s valuable research to input as well into your budget. Just be thinking about the different things that you might want to plug into that, the cost that you might have. Project those costs out and say, “Where do I need to be in my revenue stream before I can afford these things?” This helps you balance out whether or not you’re putting the cart before the horse. If you really don’t have a good market place, if you don’t know if it’s going to sell. If you are really new to your category and you really haven’t built that in yet, then now is maybe not the time to spend that. That being said, obviously you have startup costs. If you’re new to the category, if you’re just starting up, you have invention, research, sampling costs, all of those things that have to be built into the startup costs of your business, but you’d also don’t want to be overspending and unreasonable spending. 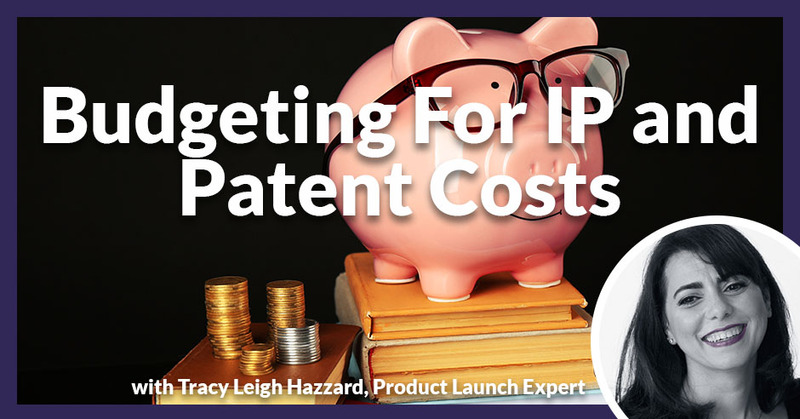 Budgeting Plan: You’ve got to spend the money on the product and delay your patent costs until the product is actually launched and you have some revenue generating. If you hit into more than 20% of your overall budget on a startup cost, where you’re spending that on research and design and modeling, prototyping, all of those things, you’ve overspent. You are going to run out of money because you need more of your budget spent in marketing or you need at least an equal amount. I say more, but at least an equal amount. I think you should have about a third of your budget into marketing when you’re new, when you’re a startup. You have to drive a lot of new traffic in. Get your listings to rank if you’re going on Amazon. Getting PR and other things for people to see you at mass market retail. Go into trade shows, get buyers to notice you. Your marketing costs need to be higher in those initial days. 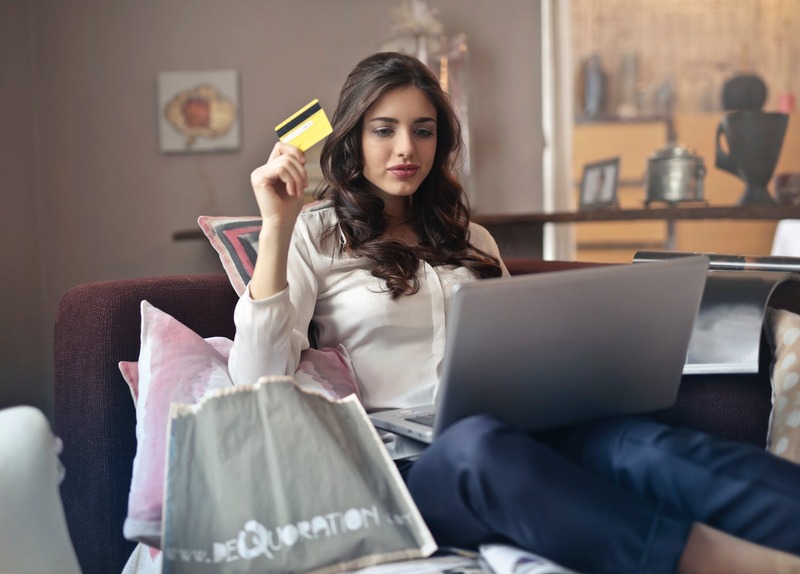 When you’ve settled into some system that works, perhaps it’s a sales funnel and you’ve just got a system that works, plugging in new products should be easy because you’re not reinventing your consumer base every time, if you’re growing smart. If you’re inventing a new consumer base, you almost have to think of it as a new startup. If you’re going from juvenile products into pet products, you probably have to think of it as a new startup and you have to have your investment budget all over again for marketing. You shouldn’t change that amount. It should always be the same on your research and development. It should just be different in the stages. To recap, when you’re starting up your brand or your product, you should spend about 20% of your budget on research and design costs. In those costs are any amount of market research you do, any one you hire to do market research for you, design costs, designers, modeling, shipping samples, all of the things that you have to do to make sure that your design is correct. Then of course if you go back to market research and you test it with the market, that would be part of your research and design costs as well. 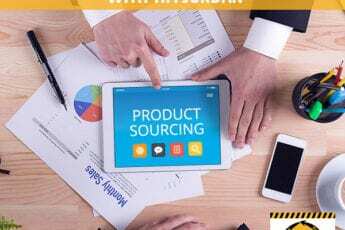 20% when you’re starting up a new product brand and any new product, to be honest with you, you should plan a startup budget of that because you do have to go back and forth on it. Overall, as you move forward and you grow your brand, you should have no less than 2%for intellectual property fees, ongoing patent trademark costs and things like that. Another 2% to 3% for your design and development costs. For the research design and development costs that you have on ongoing, on the growth of your brand. You’re growing a product line within a market you already have which you’re growing that line. You should have a general understanding in things that are happening and you should have researched that’s being spent. I’m going to call it, allocated across multiple products including your existing ones. It’s really helping to boost the sales of your existing one. Any intellectual property that you acquire, white papers that you might acquire, consumer data, any of those things that you’ll acquire in the process of spending money on research is getting spread out across multiple products. You start to look at that as that difference. 20% of startup, 5% total as you move forward into that. Be careful in that 20% startup that you don’t spend it all on your patent costs. You’ve got to spend the money on the product and delay your patent costs until the product is actually launched and you have some revenue generating. Those costs are fixed when they happen because you have to file within a year, like all of those things have to happen. You have to budget them in and look at it overall. It should be a total of 20% of that overall startup budget that you had, but the longer you delay the cost, the better off they are for you. Make sure that you do that as well. Make sure that we’re doing the process in the right order and we’re saving budget for the things that we need to save it for. I hope that was really clear for you. I really want to stress that budgeting portion of it and I really wanted to just emphasize that quickly, because it is such a crux that I see when somebody goes, “I’m out of budget” and I’m like, “You haven’t launched yet.” That’s just all kinds of wrong. “I have this great patent.” “It’s of no asset value if you don’t know that it’s selling.” We really have to make sure that we’re getting our products in line, we’re doing the process in the right order and we’re saving budget for the things that we need to save it for. On startups, I absolutely recommend you must have at least a third of your overall spending budget reserved for marketing. There are minimums I would say. You can’t spend less than to really market successfully. I would say for the most part, I haven’t seen anyone market for less than $25,000 overall. It can be spent over multiple months, but I haven’t seen anyone do that successfully, whether it’s in a Funnel, Kickstarter, just in general. It’s just the amount of time that it takes to market and overall PR spend, trade show spend, those things. I’ve never seen it done for less than $25,000. If you overall don’t have basically $100,000 budget, $80,000 to $100,000, depending on the product, then I don’t think you’re going to be able to successfully make it to market. Some of those things you can spend slowly and you reinvest your revenue into it. That’s totally okay. In fact, I’m a proponent of it. Remember, you also have to be able to fund yourself. You have to make sure that you have a day job. You’ve got something else going for you until you hit that ratio, until you hit that pace of sales at which your marketing spend is 25% to 30% of it and getting smaller and smaller as you’ve dialed it in. Converting higher but the spend that’s out of pocket is getting smaller and smaller as you move forward and your IP in research and development costs are in line and keeping in a small percentage that can get you going. Once you’re going, then you just want to don’t forget to spend on that. You shut down your IP cost and you overall hurt the valuation of your company. By the time you get it, you hit the low of product sales and you really don’t have the money you need to spend to launch again. Staying on that high and keeping your S-curve stacking is what really helps keep your evaluation and your growth in revenue happening. Thanks so much for joining me on Product Launch Hazards Office Hours. If you have any questions, you can always submit them. I’m happy to answer them in a future Office Hours and we’ll make sure to tag you so that you know that your answer is available at that time. Go ahead and message me, ping me on the site, check out my expert profile and you can email me directly or you can email me at Info@ProductLaunchHazzards.com. We’re really glad to have you here in our membership group and we hope that this was helpful as well as every Office Hours because there are some really exciting ones coming up. You don’t want to miss them. Tune in to our next Office Hours. Connect with and find out more about Tracy in our Experts Directory.